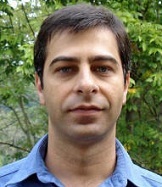 Ariaster Baumgratz Chimeli is Associate Professor of Department of Economics at Ohio University. Chimeli, A.B. and Boyd, R.. Prohibition and the supply of Brazilian mahogany, Land Economics, vol. 86, Issue 1, 2010. Sharabaroff, A., Boyd, R. and Chimeli, A. B.. The environmental and efficiency effects of restructuring on the electric power sector in the United States: An empirical analysis, Energy Policy, vol. 37, Issue 11, 2009. Chimeli, A.B. and Braden, J.B.. A Capital Scarcity Theory of the Environmental Kuznets Curve, Environment and Development Economics, vol. 14, Issue 5, 2009.